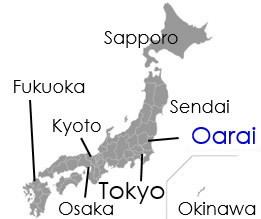 Admission must be made via the South or North Gate of the JAEA, Oarai (the presentation of identification required). The Center is open from 8:30 to 17:30. Experiments are conducted from 9:00 to 17:00. For use of the facilities outside these times, prior application is required. Refer to page 9 of Guidance for Joint Research. 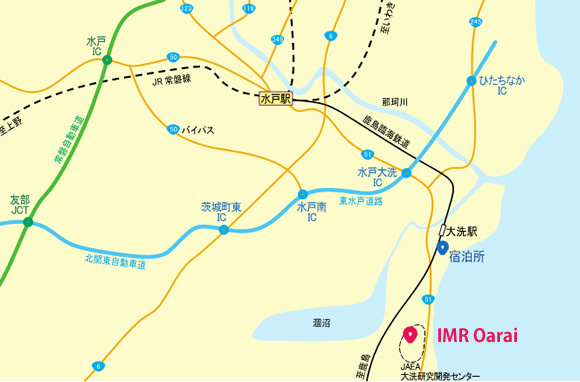 Kashima Rinkai Tetsudo to Oarai Station (15 min), then taxi approx. 10 min. 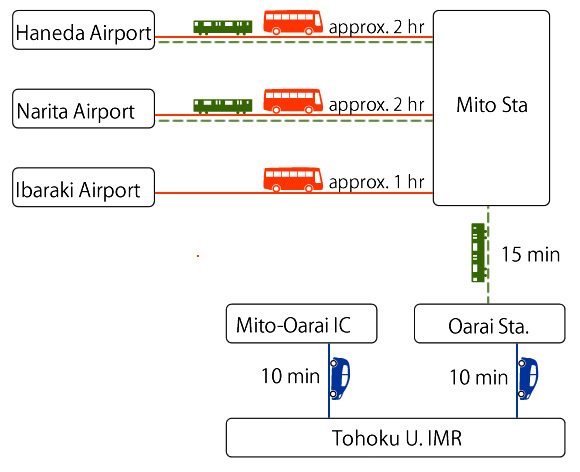 Express bus or train to Mito Station (approx. 1 hr), next Kashima Rinkai Tetsudo to Oarai Station (15 min), then taxi (approx. 10 min).